PMI IS NOW ISO CERTIFIED! 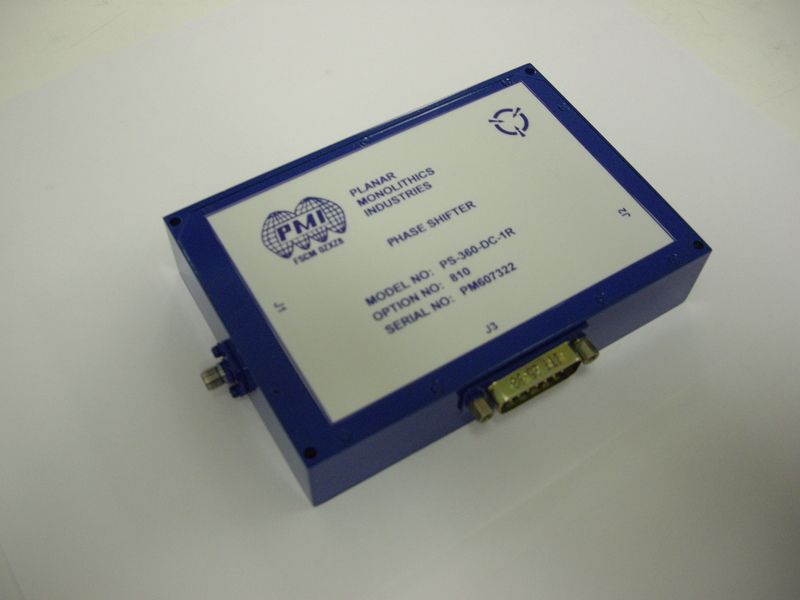 Planar Monolithics Industries, Inc. is very proud to announce that effective December 17, 2003 PMI has become ISO 9001:2000 Certified for the following scope of registration: Research, Development, Custom Design and Manufacture of RF/ Microwave Components, Super Components and Subsystems, in the DC to 40 GHz Frequency Range. Please click here to see PMI's ISO Certificate. 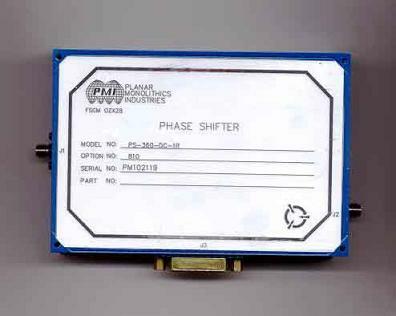 The PS-360-DC-IR Option 810 is a digitally controlled 360 degree phase shifter with a phase accuracy of ±10 degrees, A switching speed of 500 nSEC and operates in the range of 8-10 GHz. SIZE 4.95" X 3.38" X 1.02"
Please contact the factory for additional options.